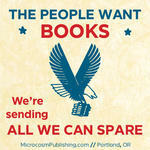 Log in to get emails when Sandor Ellix Katz has something new. 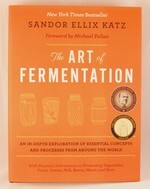 Sandor Ellix Katz is a self-taught fermentation experimentalist. 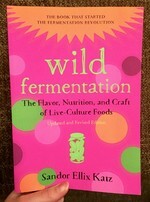 He wrote Wild Fermentation: The Flavor, Nutrition, and Craft of Live-Culture Foods (Chelsea Green, 2003)--which Newsweek called "the fermenting bible"--in order to share the fermentation wisdom he had learned and demystify the process of home fermentation. 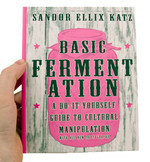 Since the book's publication, Katz has taught hundreds of fermentation workshops across North America and beyond, taking on a role he describes as a "fermentation revivalist." 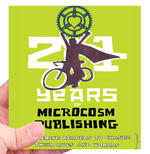 Now, in The Art of Fermentation, with a decade more experience behind him, he offers readers the unique opportunity to hear countless stories about fermentation practices. Answering thousands of troubleshooting questions, he's sharing a more in-depth exploration of the topic. Katz is also the author of The Revolution Will Not Be Microwaved: Inside America's Underground Food Movements (Chelsea Green, 2006). by K. Ruby Blume, Sandor Ellix Katz, Erik Spellmeyer and Super Pack!